The 2016 Cadillac XTS benefits from a host of technological features. The interior benefits the most from this technology, which includes Cadillac's CUE information and media control module. CUE, which stands for "Cadillac User Experience," features an 8-inch touch screen set in the center stack that functions similarly to an iPad. It is able to respond to touch gestures as well as voice commands and utilizes much of the same technology as the aforementioned iPad. Cadillac has even gone so far as to design a CUE app for the iPad, further integrating it into the car. Also unique among luxury sedans is Cadillac's magnetic dampening system. Normally seen on much more exotic sports cars, magnetic dampening uses magnets in conjunction with magnetic-reactive fluid in the shock absorbers to adjust shock stiffness and ride on the fly, producing both a quiet ride and surprisingly good handling for a luxury car. The Cadillac XTS is available in four different trims: Standard, Luxury, Premium and Platinum. All-wheel drive is available on any of the top three trims and adds a couple thousand dollars to the price of the vehicle. Standard power across the line comes from a 305-hp 3.6L V6. A twin-turbocharged version of that same V6 bumps output up to 410 hp, with 369 ft-lb of torque. This engine is available on Vsport models in the Premium and Platinum line. Stepping up to the Luxury edition will net several improvements and open up the option of having all-wheel drive. Lighting is enhanced with daytime running lights and improved interior lighting, while the front seats now feature thigh adjustments. A rear view back up camera and nicer 19-inch wheels round out the important differences between the Standard and Luxury trim. The top-of-the-line Platinum edition adds 20-inch wheels, a power sunroof and sunshades for back seat occupants. The front fascia of the Platinum edition car has also been subtly modified to set it apart from lesser versions of the XTS. The XTS comes back for 2016 with minor changes. Among the enhancements include an available 360-degree camera system, Apple CarPlay and wireless device charging. 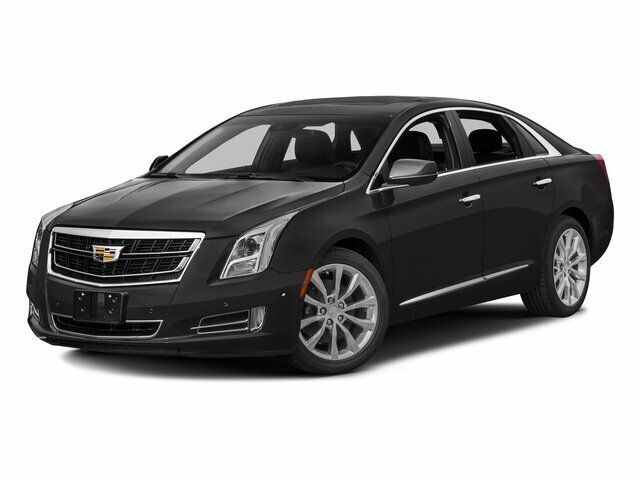 Starting at around $45,000, the XTS competes with midsized luxury sedans from European manufacturers like BMW, Audi and Mercedes. The XTS offers more interior room and cargo space, however and the availability of a 410-horsepower turbocharged V6 means the XTS holds its own when it comes to performance. Available all-wheel drive increases practicality and fits well with the impressive array of technologies available on the XTS.